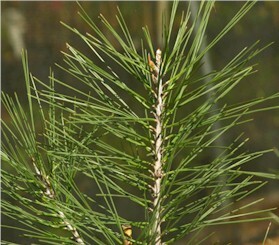 While not small, this pine is a little more manageable in the landscape than the larger species. It will still reach up to 70’ tall over time and 30’ wide. Because it has a very open growth habit, it casts very little shade which may be a plus where sun is desired. 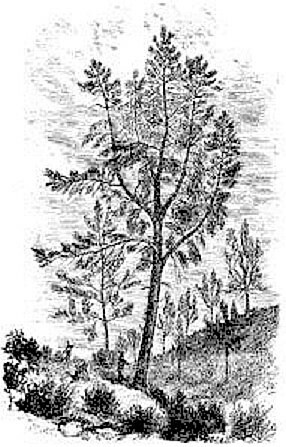 The trunk is often forked and the reddish brown bark will become plated as it ages. 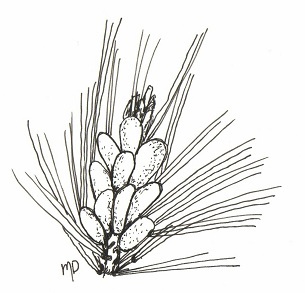 Not all pines produce edible pine nuts but this one does. Native Americans knew this and used the nuts as a food source. 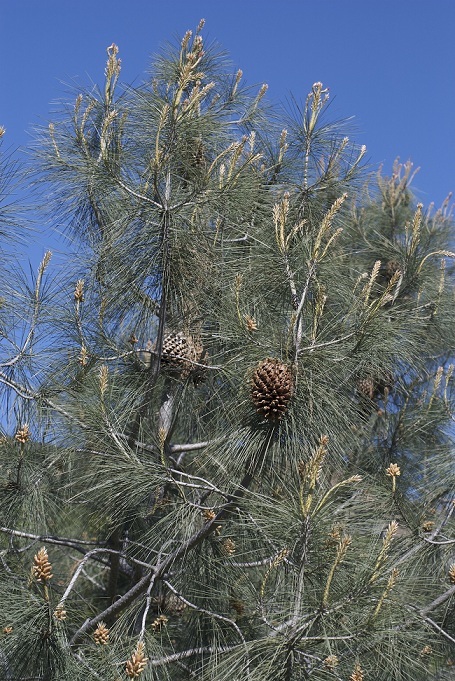 This tree is found along the Pacific coast of California and in the Sierra Nevada region, and does well in USDA zones 5-9. 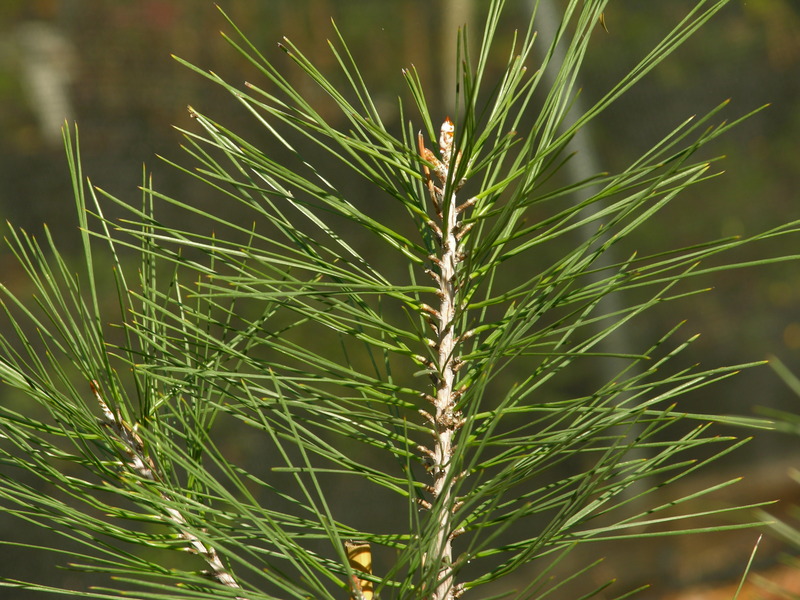 Grey Pine is an attractive smaller conifer where many larger conifers are prohibitive. Photo below, center, courtesy of Eric in SF.